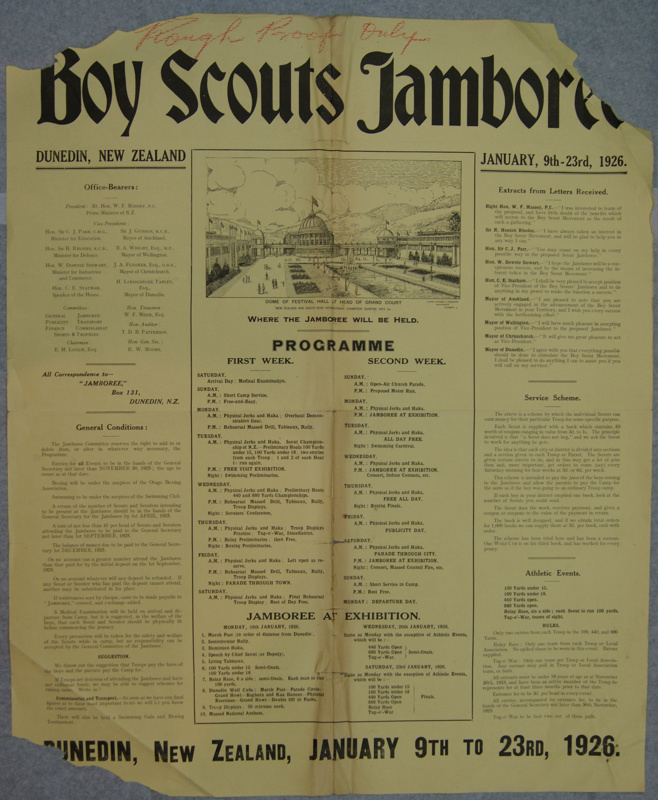 Poster prepared for the 1st Dominion Scout Jamboree which was held in Dunedin in conjunction with the South Seas Exhibition. This example has "Rough Draft Only" written in crayon across the top and was the copy in Scout Headquarter's files. Normal copies have Coulls Somerville Wilkie Ltd printers name in the bottom left. 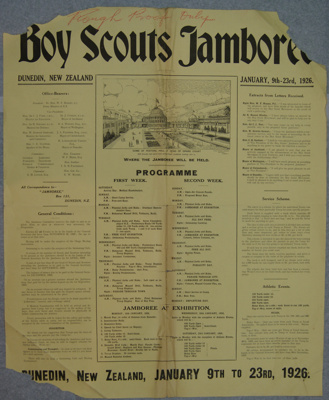 Poster was sent to all the Scout Troops in New Zealand at the time as part of the promotion to get Scout down to the event.